It can probably go without saying, but hospital stays are incredibly expensive. Hospitalization alone accounts for one-third of the $2 trillion spent annually on healthcare in the United States, and there is a high rate of hospital re-admissions due to poor planning and transitional care. In just the Medicare program, the 30-day readmission rate for patients with some chronic conditions is as much as 23 percent. Research has shown that millions of these re-admissions may be preventable, saving billions each year in Medicare spending. One way to manage hospitalization, help with transitional care, and prevent many of these costly re-admissions is through the use of chronic care management services. According to data from the Healthcare Cost and Utilization Project (HCUP), older adults (aged 65 and up) account for 40 percent of hospitalized adults in the U.S. and nearly half of all healthcare dollars spent. The leading admission diagnoses among these patients are cardiovascular diseases, pneumonia, and septicemia. Not only are many of these hospital stays more expensive for older adults due to the seriousness of the conditions, but the average length of stay is longer than with younger patients. Both cost savings and better patient outcomes in these cases can be achieved through the use of chronic care management services. Medication Management. The care coordinator provides medication reconciliation services, which have been shown to cut down on hospital re-admissions. Patient Education. Patients are provided with educational materials about their illnesses, including instruction on prevention. Medical Care Coordination. 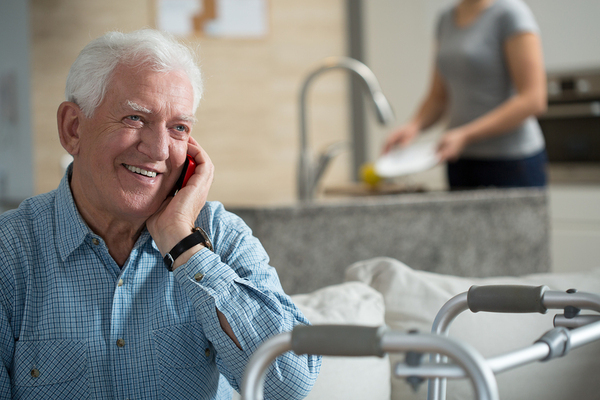 The care coordinator reviews the patient’s personalized care plan, can coordinate home health care services, and assist with other transitional care needs. Chronic care management services can help reduce readmission rates and deliver better patient outcomes. Otherwise, a CCM care coordinator can be an invaluable tool for primary care providers and patients to both save costs and deliver a higher standard of care. Contact us to find out how chronic care management services can help your practice and to calculate your revenue potential through the use of this valuable resource.